Caregivers and kids from any town are welcome to attend our playgroups. 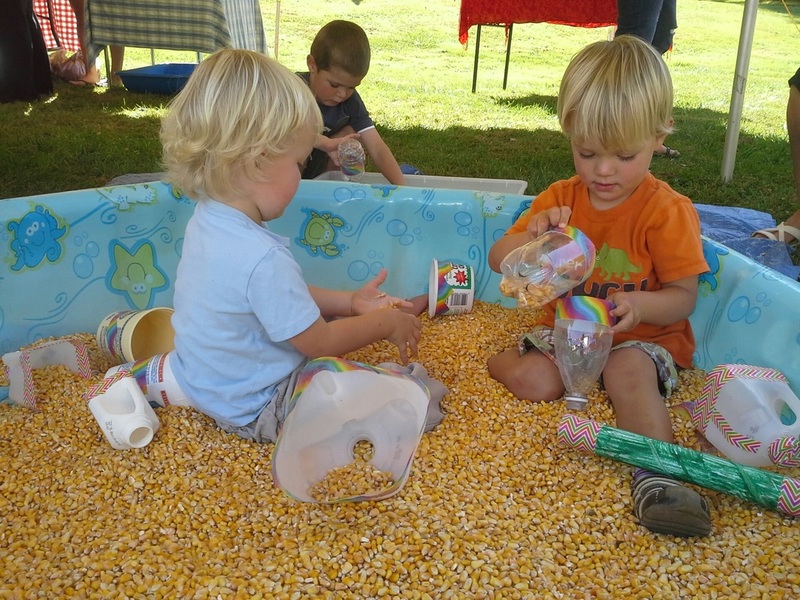 Playgroups are all free, thanks to grant funding and generous community donations. We follow the school calendar and closings. Large open space with lots of toys: kitchen set, play store, small slide, trucks, scooters, blocks, dolls, and lots more! 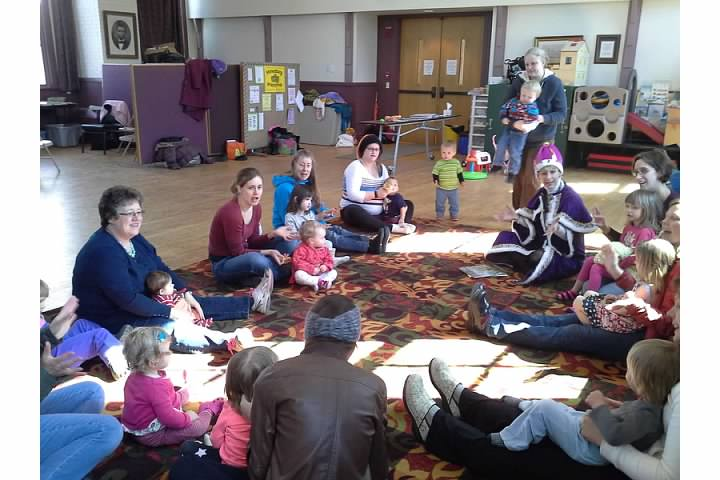 Join us for stories, songs and movement games followed by a healthy snack and coffee for caregivers. 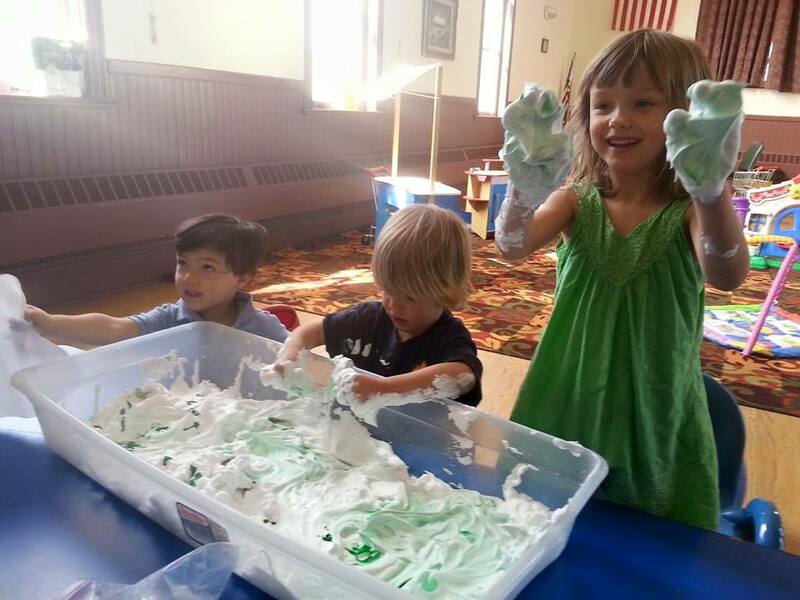 This playgroup is geared toward little ones age birth to 3 and their grownups but older siblings are welcome. Please enter through the Community Room entrance to the left of the main library entrance. Escape the winter weather and let the kiddos burn off some energy. Little ones from birth to age five with a caregiver can enjoy toys, gross motor activities, a craft project, snack and circle time. These weekend playtimes are weather dependent as there is no snow removal at Town Hall on weekends. If we need to cancel, we'll do so the day before so please stay tuned to our Facebook page for updates. Twice a year, in spring and fall, books and clothing are donated and recycled by families from the community. No money is exchanged, and all are welcome to select books and clothing as needed for their children. Donate as many gently used items as you want on drop-off day; we accept clothing sized infant to 14 and children's books up to middle school level. No toys, please, and items will not be accepted on swap day. Volunteers will sort clothing by size and gender. We don't assign dollar values or tally up what you drop off. Participants in the swap can pick whatever they need for their families on the day of the swap. If you just need clothing for your family and do not have anything to donate, you are welcome to just "shop." 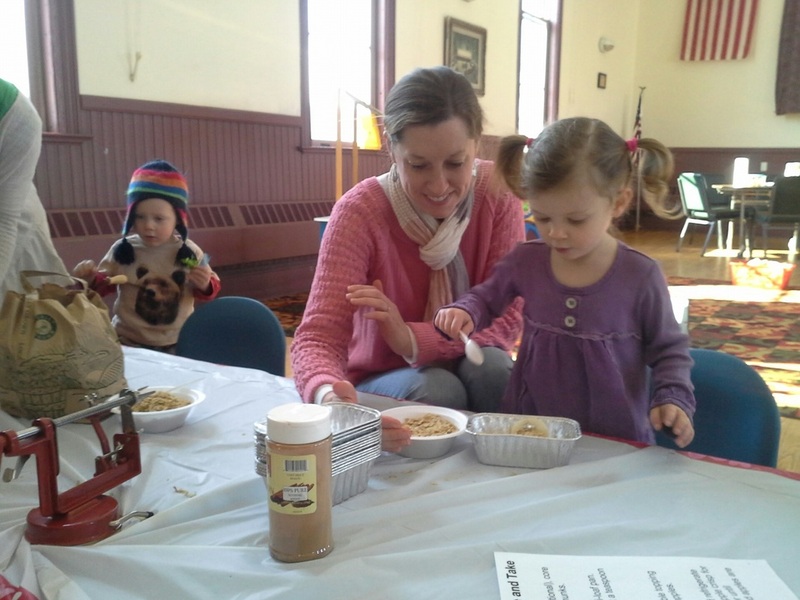 Friends of Families hosts a Welcome Baby Brunch each May at Town Hall. 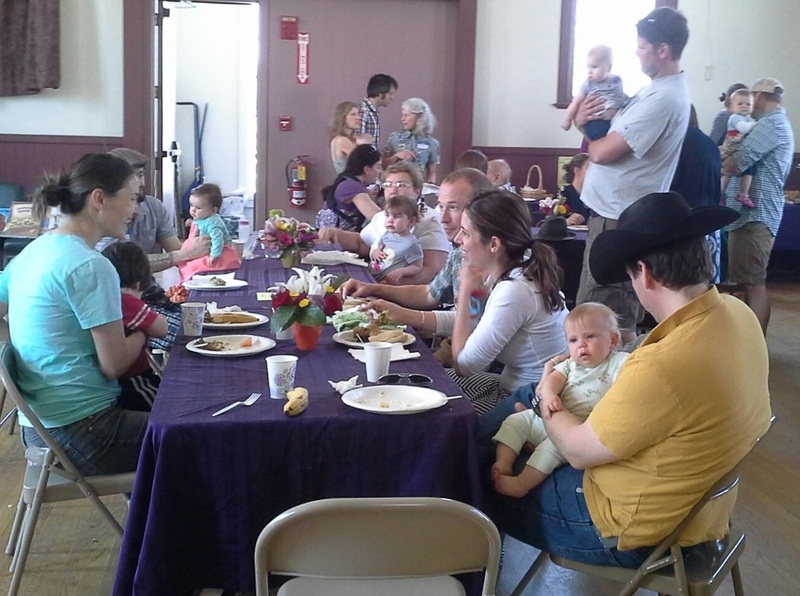 Families with children born during the year enjoy a yummy brunch and are honored with a book dedication to each baby. Books are kept at the Carpenter Carse Library for all to read and enjoy. We partner with Hinesburg Community School to offer support to children and parents during the transition to kindergarten. We provide a going-to-kindergarten themed book to families and are a partner in providing a smooth registration process each spring. A summer "Meet, Greet and Play" is offered to all incoming kindergarten families, as well as events throughout the school year.